You might be surprised by some of the exhibitors you’ll find at the design market’s 20th event. One of the great joys of Bowerbird Design Markets is seeing the range of new exhibitors who are coming up with innovative design solutions to problems we didn’t even know we had. The 20th edition of the markets has greater variety than ever before with over 200 stalls, and they’re catering to a very broad audience. If you think it’s all jewellery and ceramics, you’re in for a surprise – there’s a huge range to choose from and here are a few worth checking out. The humble gas cylinder fuels thousands of backyard barbecues and friendships around the country, but it’s hard to argue that it’s a thing of beauty. 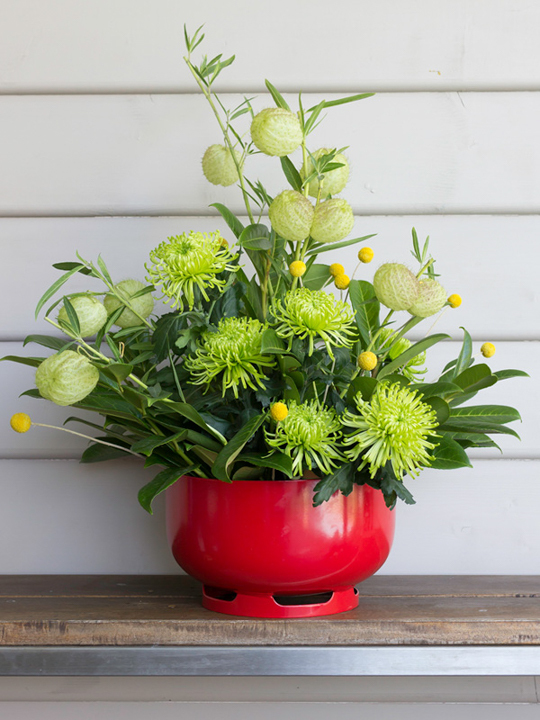 Li’l Gas might contend otherwise, and as evidence they can produce a range of bowls and planters made from rescued gas cylinders that are hand cut, blasted and powder coated in a range of vibrant hues, like onyx, mandarin, lemon and chilli. For years the Swiss Army Knife was the benchmark for multitools – a benchmark that was heavy, cumbersome and unlikely to be seen ever again if taken into an airport. Fortunately, Tactica have made an alternative that’s TSA compliant, fits on a keyring and is made from a composite material that won’t scratch your phone screen. It has a range of tools including a package opener, screwdriver and wrench – in metric and imperial, for when you pass through TSA. This isn’t the zinc you remember from your childhood (or from every photo of Andrew Symonds ever taken). The small batch South Australian zinc cream has 30% zinc oxide for sun protection and includes a range of other goodies like coconut oil, cocoa butter and locally sourced beeswax to keep your skin hydrated and healthy. As a surfer, SeaZinc’s creator Francesca Narni also wanted to make a product with no preservatives or chemicals, meaning it’s as good for the environment as it is for you. Cotton is a sensitive subject here in South Australia, with growers along the Murray-Darling basin from Griffith on up using vast amounts of water to irrigate their crops to our detriment. One kilogram of cotton requires up to 20,000 litres of water so any alternative is welcome, and fast-growing bamboo has the bonus that it’s naturally antibacterial and odour-resistant. These incredibly soft fabrics are made to be worn close to the skin, and the range so far consists of tees and socks, which come in men’s and women’s ranges. Fresh masala chai is fragrant, spicy and just enough of a pain to make that we never quite get around to it. And alternatives like sickly sweet cafe syrup aren’t even worth contemplating. So it’s with delight we greeted the news of this new chai concentrate. The unsweetened brew is made with cinnamon, cardamom, ginger, cloves and loose-leaf black tea, and is ready to drink – just add milk, and a little sweetener. Starting with a piece of steel and a slab of Australian hardwood, each Cut Throat knife is made by a single person, “from initial grind to final sharpen.” The finely balanced instruments are functional works of art, made not just to last a lifetime, but to be handed down through generations. They’re worth looking after, which is why Cut Throat also makes and sells a range of superbly crafted leather knife rolls and wallets. Hi-vis vests are meant to be eye-catching, but they’re not the sartorial statement that Lisa Penney wanted to make. Looking for a way to remain visible on her bike without having to make that aesthetic sacrifice, she created a series of geometric designs in collaboration with local artists that now adorn a range of clothing. The reflective vests are breathable, durable and look so good that you might just wear them even when you’re not cycling.